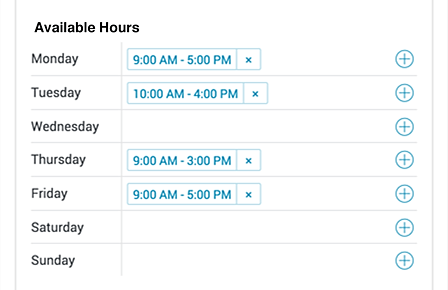 Customize your appointment schedule and booking page. Share your personal booking page with your customers & prospects. 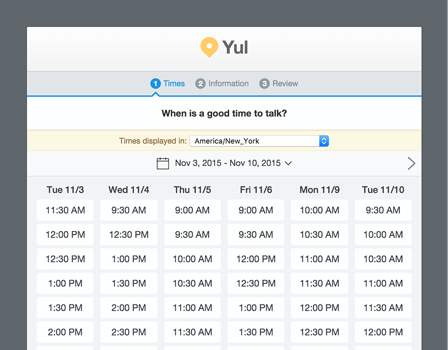 You can integrate your scheduling page into your website, emails and landing pages. Your customers & prospects book an available time with you. It's automatically added to your calendar and theirs without the tedious back and forth. When prospects can book you at the peak of their interest, you'll see up to a 300&percnt; increase in conversion rates and closed sales. Up to 80&percnt; time saved from eliminating back-and-forth, manual reminders & appointment administration tasks means you'll close sales faster. Your customers & prospects will love the convenience and simplicity of online booking. Boost their confidence in you and stand out from the crowd. Before using Appointlet, our email marketing representatives manually scheduled 1-2 meetings per day. Now, thanks to Appointlet, they are scheduling at least 3-4 meetings per day as they can solely focusing on selling! 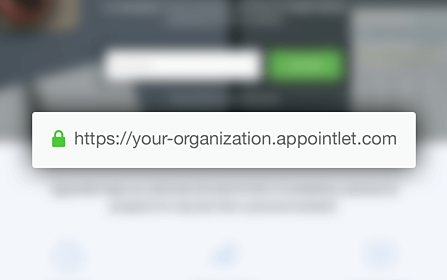 Appointlet was literally a game-changer for us: it made our appointment scheduling scalable. The automatic email reminder feature almost doubled our conversion rate . My customers love the interface and have told me how easy it is to make an appointment with me! I couldn't be happier with the service and I recommend it to everyone who has an online business. Stop losing hot prospects to email overload and start your trial today! Access all features. No credit card required.